Lord Collingwood, British admiral, before the Battle of Trafalgar, 21st October, 1805…210 years ago today. After four hours of fierce exchanges and superlative manoeuvring by British commanders off the south west coast of Spain, the French Admiral Villeneuve (Pierre-Charles-Jean-Baptiste Silvestre de Villeneuve – a man not short of names, but short of ideas) was humiliatingly beaten by the British. Of the combined Franco-Spanish fleet, 18 ships were destroyed, more than half its strength; they were no match in this game of battleships. The superb strategic moves and unconventional tactics of the British Naval Admiral Sir Horatio Nelson, were masterfully winning. 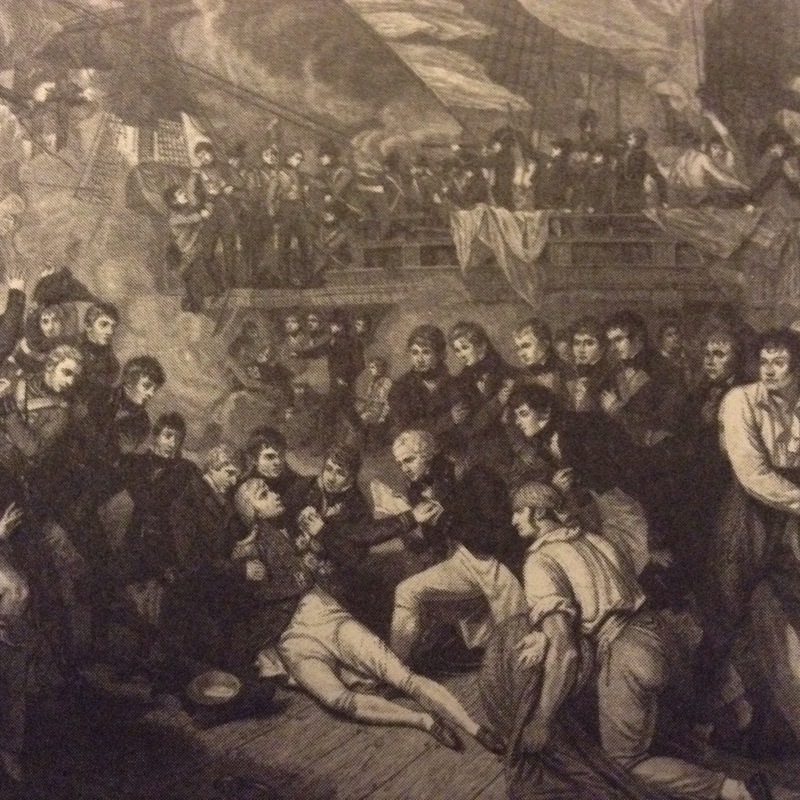 However our Inspirational leader (now aged 47 years) had already greatly suffered in Napoleonic battles-of-the-seas, with the loss of an eye at Corsica and an arm at Tenerife. On this ‘Trafalgar‘ day, he was mortally wounded by a French sniper as he stood on the deck of his flagship Victory. V for Victory and sadly, V for Victim. His body was first preserved in a barrel of brandy and then transported back to London from Gibraltar in a lead-lined coffin filled with spirits of wine. He was buried in St Pauls Cathedral on 9th January, 1806. 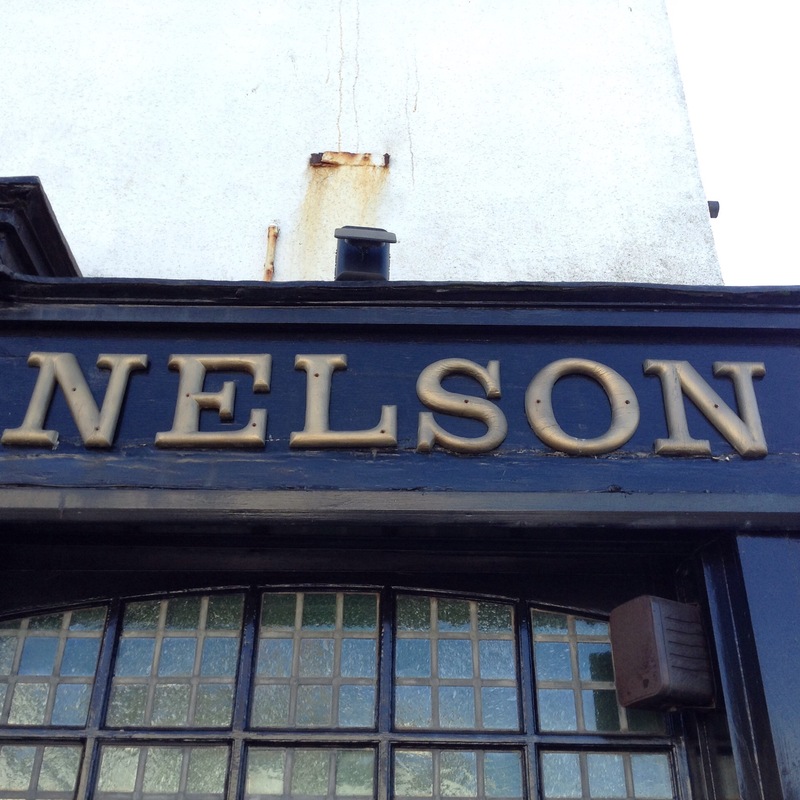 Toast our British hero with a swig of brandy, maybe in one of the many Lord Nelson pubs?! From Trafalgar Victory to Trafalgar victim to Trafalgar Square, this man’s legacy is vividly portrayed in volumes of history, which now envelopes the verses from thee, Kate. A veritable hero was he, his vague likeness now perched atop a pedestal for all to see.